Kiba Park lies in the heart of Koto-ku, a green oasis bisected by one of the many canals that criss-cross the ward. 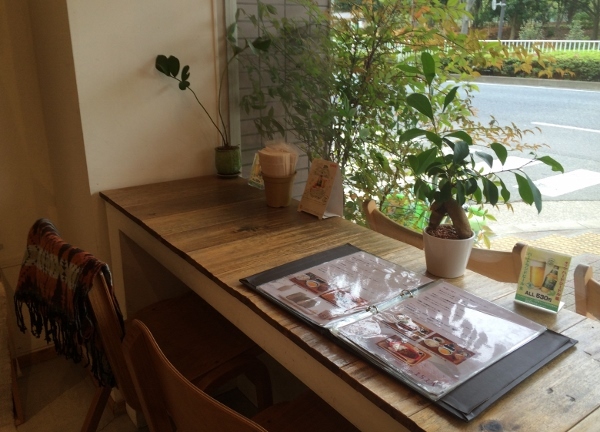 Hard by the northern half of the park is mamma cafe 151A, a place so welcoming and cozy that you could spend hours there, eating, drinking coffee, reading and chatting with the charming owners Koji and Maki Tanabe. A trained nutritionist, Maki Tanabe quit her job with a major cafe company in frustration at not being able to follow her dream of creating products herself and worked as an assistant to a well-known food stylist. 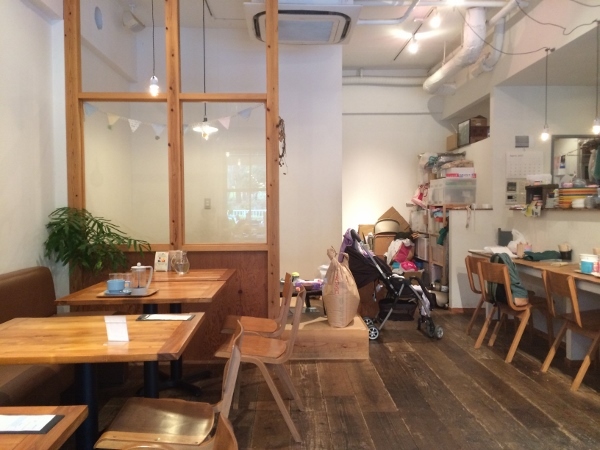 When her husband Koji, also in the food business, was transferred to Nagano they decided that a life spent relocating around the country at regular intervals was not for them and aimed to realise their dream of opening a cafe in the nation’s capital. After a long and gruelling search for a going concern that matched their requirements, especially as they were now blessed with a family, fate intervened and they found the current address. Across the road from Kiba Park, a short walk from Kiyosumi Garden and in an upcoming area with many young families, it was perfect. 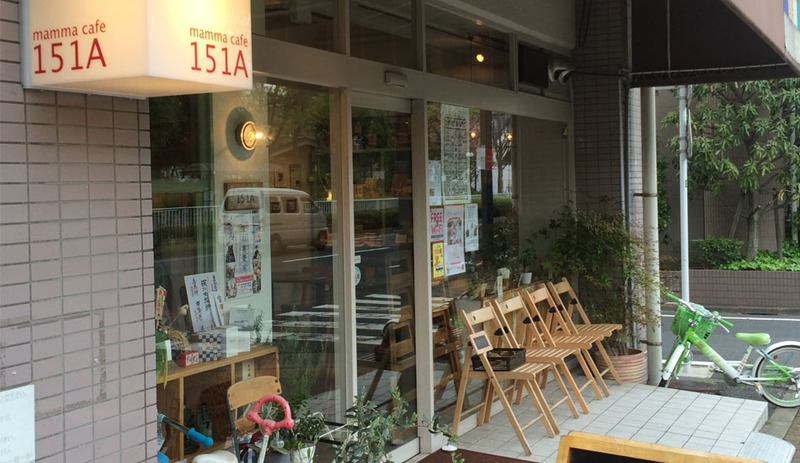 The Kiyosumi-shirakawa area may be well-known for its cafes now but when mamma cafe 151A opened on April 26th. 2013 it was way ahead of the curve, predating the more illustrious coffee sellers in the vicinity. 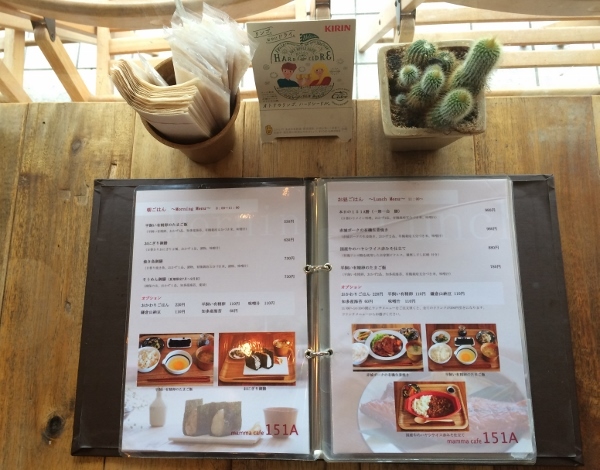 The food served in mamma cafe is both delicious and nutritious, as one would expect. 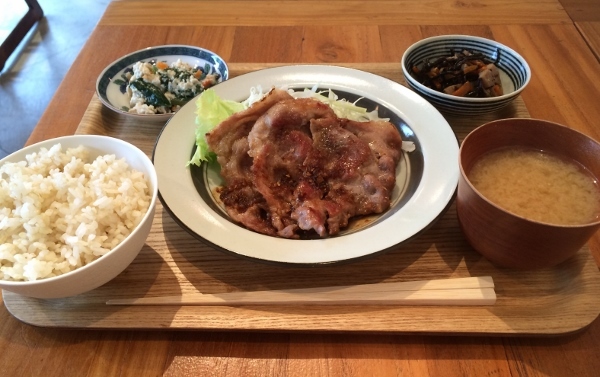 50% milled rice, organic vegetables, Akagi pork from Gunma, homemade pickles, miso ( fermented soybean paste ) soup from Sano Miso ( Tokyo’s finest miso shop, located in Kameido, Koto-ku ), free-range fertilized eggs: the ingredients are fresh, the meals balanced and appealing to customers from eight to eighty. Not only excellent meals but also irresistible desserts, pound cakes, cheese cakes and puddings. Yum yum. Cafes are judged by their coffee and the blends served at mamma cafe reflect the taste of the proprietor. They are lighter, refreshing and easy to drink, without any of the bitterness of other types. They are also certified Bird Friendly as well. 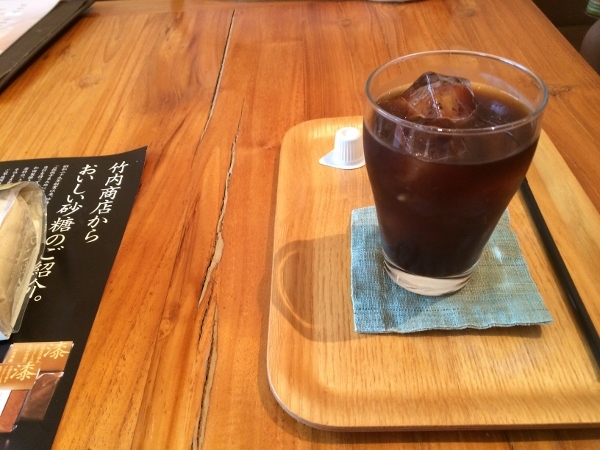 Iced coffee goes down well on a warm afternoon. 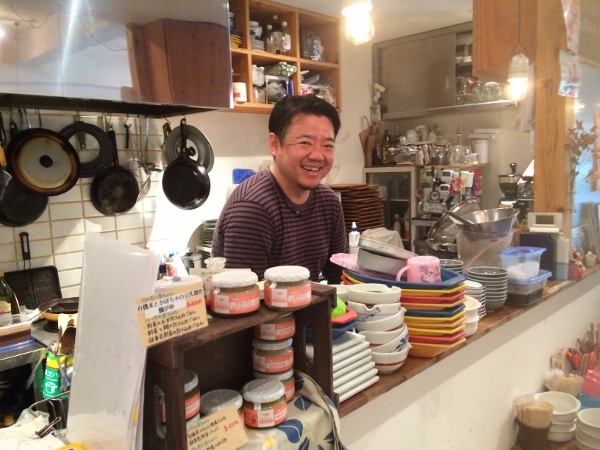 As if running a cafe wasn’t enough work, the Tanabes began a cooking school in October 2016. Many of the students are young mothers and their children, learning how to cook together, making jam for example. The variety of cooking plans will increase in the future. 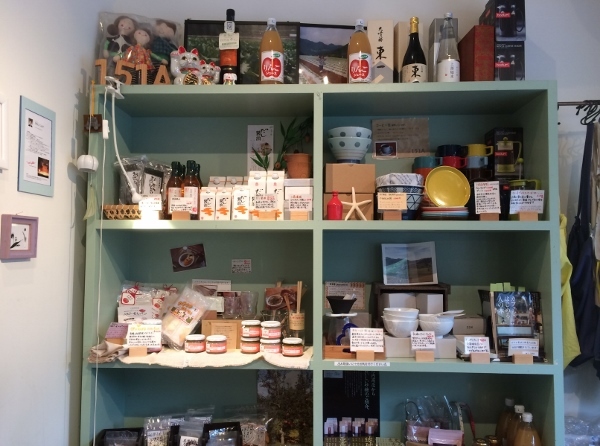 The cafe also sells a variety of interesting and gaily coloured items, from kitchen utensils to soup broths, Takeuchi Shouten sugar and apple juice, aprons and books on how to run a cafe. Take your time and browse. As for the future, Maki Tanabe would like to publish a book of original recipes, while her husband dreams of opening a branch in Hawaii. 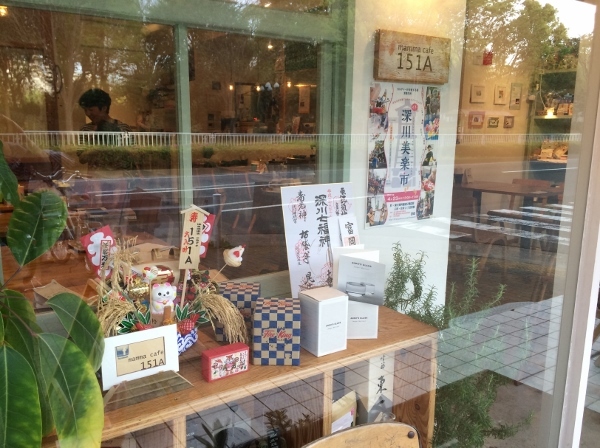 What better way to spend an enjoyable day than a stroll in Kiba Park followed by a delicious meal, coffee and cake at mamma cafe? Be careful though, the welcome is so warm and the atmosphere so comfortable you may not want to leave!